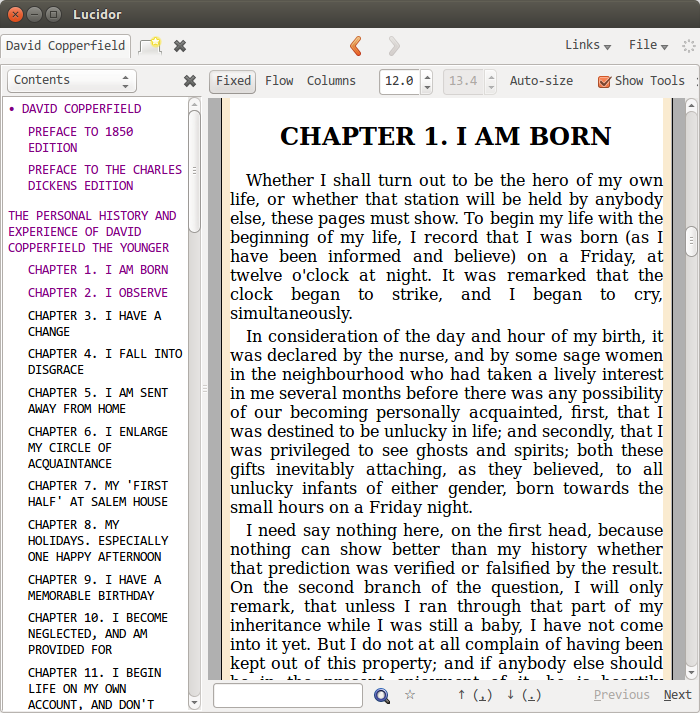 Lucidor is a an EPUB reader for Linux that is based on Firefox. I have found it to the best among the EPUB reader options available on Linux. Installation is easy. Remember that it requires that you already have Firefox. Download the .deb package from here and install using GDebi. Table of contents displayed on the left of content. This is the #1 reason I had to stop using FBReader, because it could not show the TOC beside the content. Auto-size option to scale content to fit window size. View different books in tabs. I wish every ebook reader did this! A personal bookcase to which your books are added.